Shake all ingredients with ice except the ginger ale. Pour into a coupe or wine glass. 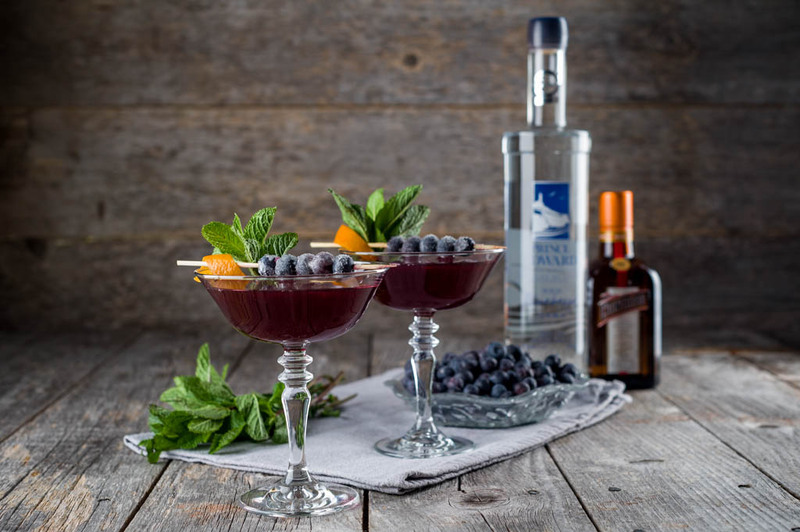 Garnish with a slice of orange and blueberries skewered on a cocktail pick.